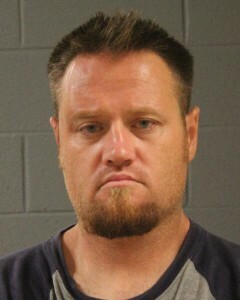 ST. GEORGE — A man and a St. George couple, who was arrested in June on a lengthy list of theft-related felony charges in St. George, extended their crime spree to Mesquite, Nevada, where they were arrested Wednesday while in possession of a stolen vehicle after trying to cash stolen checks at a bank. Dacota Dawn Dacus, 27, Bryce McDonald Smyer, 28, and Justin Leroy Hustead, 36, all of St. George, were each arrested on multiple felony charges after officers responded to the Wells Fargo Bank in Mesquite to investigate three people suspected of trying to cash stolen checks, the Mesquite Police Department said in a media statement issued Monday afternoon. As officers arrived on scene, they discovered the vehicle the suspects arrived at the bank in was listed as stolen out of Utah, according to police. When all three suspects were out of the bank and near the vehicle, the officers moved in and were able to safely take them into custody. The officers then began an investigation into the alleged check fraud. Authorities contacted the owner of the stolen vehicle who gave them permission to search the vehicle’s contents, the statement said. During the search, police located multiple stolen electronic devices including cellphones and a laptop computer. Dacus was charged with felony possession of a stolen vehicle, one felony count of conspiracy to utter a forged instrument and one felony count of uttering forged instruments. Smyer was charged with felony possession of a stolen vehicle and one felony count of conspiracy to utter a forged instrument. Hustead was charged with felony possession of a stolen vehicle and one felony count of possessing with intent to utter forged instruments. Dacus and Smyer were previously arrested in June on a lengthy list of serious charges after allegedly burglarizing a home while a resident was inside and knowingly being in possession of 18 finance cards that did not belong to them. The two were released from custody on bail pending trial. Smyer’s $30,000 bond was revoked by Rebel Bail Bonds after he was arrested Oct. 30 on drug-related charges, according to Utah court documents. He was again released from custody on Nov. 2 on $32,500 bail through Breaking Bad Bail Bonds. Dacus’ charges remain set for jury trial. 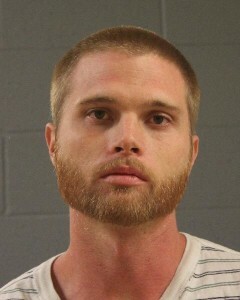 Hustead was also arrested in St. George multiple times this year on drug-related charges. The next person who lets these people out of jail without their serving a jail sentence will be responsible for the crimes they commit against more innocent people. No more bailing such people out of jail. Stolen checks….really? Who does that anymore? Write checks ? are you serious ? that’s living in the dark ages.